Mayor Klitschko confirmed the capital's interest to the arrival of the Swedes. 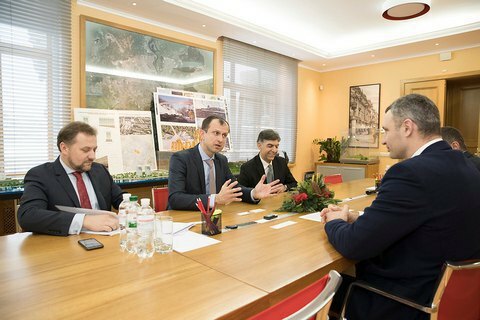 Swedish retailer IKEA is exploring options for a business model to enter the Kyiv market in a year or two, Kyiv's city hall press service reported Tuesday, 19 December, with reference to IKEA development manager for South-Eastern Europe Vladyslav Lalich who discussed this issue with the mayor Vitaliy Klitschko. "We are coming to Ukraine with a vision of how to improve on the daily lives of many people. Our company offers a wide range of available products for the home in response to strong demand from consumers," the press service quoted IKEA's CEO South East Europe (the company that will operate on the Ukrainian market), Stefan Vanoverbeke. Klitschko, in turn, said that Ukrainians are very much looking forward to the arrival of IKEA, and are already buying goods from a Swedish company albeit through intermediaries that deliver products from stores in neighboring countries. IKEA has already provided a franchise for Ukraine, but without an exact date for opening the first store. IKEA is a Swedish-founded multinational group, headquartered in the Netherlands, that designs and sells ready-to-assemble furniture, kitchen appliances and home accessories. The largest franchise holder is the IKEA Group. In 2013, a GfK poll showed that the Ukrainian consumers miss IKEA stores and Pizza Hut restaurants in Ukraine.